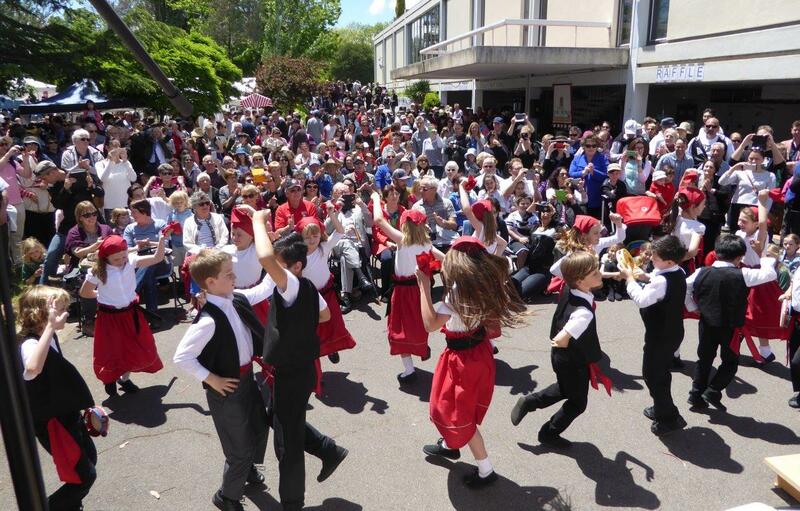 Some 5,000 people turned up in the Italian Embassy Gardens on Sunday 13 November to enjoy the second edition of the Festa Italiana. 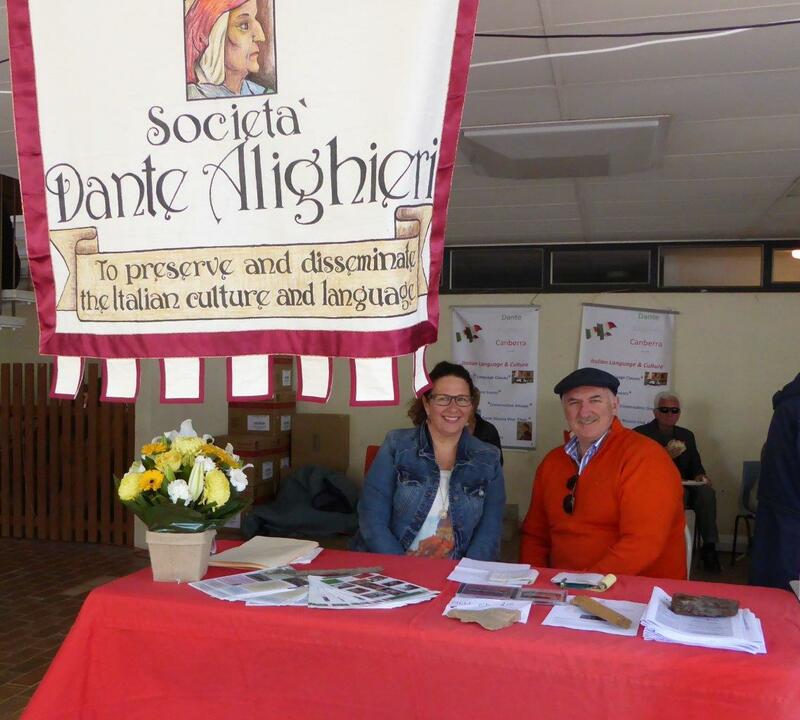 It was deemed a great success by the Italian ambassador, by the organising committee, by participating stallholders and by those who attended it. 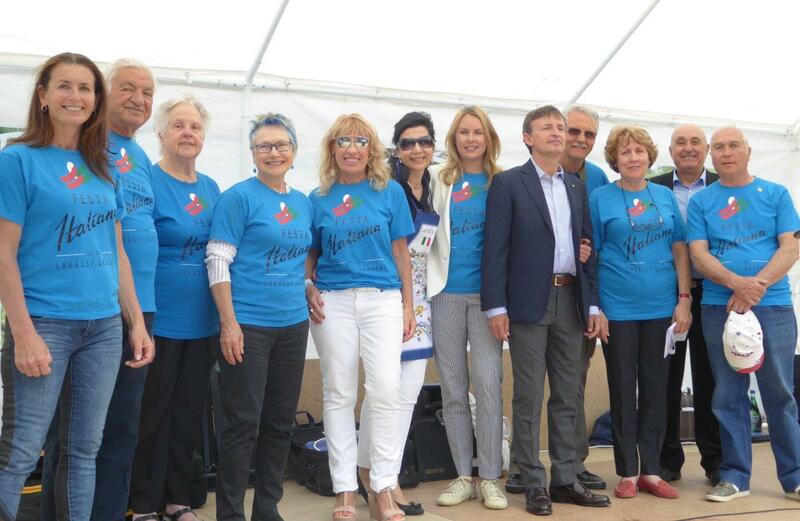 The Festa had a dual purpose: give “a taste of Italy’ to the local community (food, entertainment, culture), and raise funds for good causes. 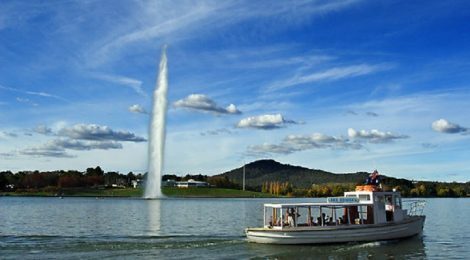 Of this year’s net proceeds, $18,000 have been donated to the Italian Earthquake Appeal Fund, and $4000 to the Neonatal Intensive Care Unit of Canberra Hospital. A very large variety of Italian food was on sale including the traditional pasta and pizza, degustation plates of sliced smallgoods, porchetta, lasagne, polenta and cheese, and all types of dessert; there was live musical entertainment throughout the day including from the Dante choir, the Canberra Mandolin Orchestra, Joe Sorrentino, Livio and Virginia, and Sydney duo Majazzter. The Yarralumla Primary School children sang the Italian national anthem and skilfully danced the tarantella; there were iconic cars and motorbike on display (a red Ferrari would do me! ); guided tours of the ambassador’s residence to learn about its art and architecture could be undertaken; a jumping castle and other entertainment were available for the children in the back garden; a great number and range of items, including Zampatti vouchers and Armani perfumes, went to lucky raffle ticket buyers while others bid for such valuable items as a jewellery set by Cerrone and a week’s accommodation in a new villa near Siena (the latter donated by Dante member Lyndall Heddle. This auction item fetched $1600!). The Dante Society played a large role in the Festa. Firstly, Dante committee members Yvette Devlin and Luigi Catizone were part of the Festa organising committee and, inter alia, both worked on the Festa marketing and advertising with Yvette being also the committee Secretary since its inception, while Nicola Patini assisted the treasurer on the Festa day and Tony Hanrahan as President of Auto Italia had arranged for the luxury vehicles to be present; secondly, the Dante Musica Viva choir performed Italian pieces for 45 minutes and also provided its sound system for the stage for the whole day while choir musical director Francesco Sofo played his piano accordion for 25 minutes; thirdly, the Society had an information stall to advise people on its services; fourthly, several choir members offered their services as volunteers in the sale of raffle tickets. It’s worth noting that the Festa committee president, Anna Capezio, is a Dante member. Everyone deemed the Festa a great success despite the quickly-changing weather conditions on the day marked by strong winds and sunny periods but also sudden downpours that a couple of times scuttled the audience that was enjoying the entertainment. Its mere staging is due in great part to the strong spirit of collaboration between several parties: Italian Ambassador Pier Francesco Zazo and his wife Svetlana; the local Italo-Australian business community that generously sponsored it with cash donations (one of the sponsors was Dante member and advertiser Emilio Cataldo); local associations such as regional associations and the Dante Society; and the bilingual Yarralumla Primary School. Ambassador Zazo and wife Svetlana held a reception at their residence on 7 December to thank the Festa organising committee, the sponsors, the Italian associations that had taken part and the volunteers for contributing to the Festa’s realisation and undisputed success. At this reception the ambassador expressed the strong wish that the Festa continue beyond his four-year mandate, which concludes in October 2017. Finally, I wish to thank all those Dante members who in one way or another contributed to make a success of the second Festa Italiana in the Embassy Gardens.